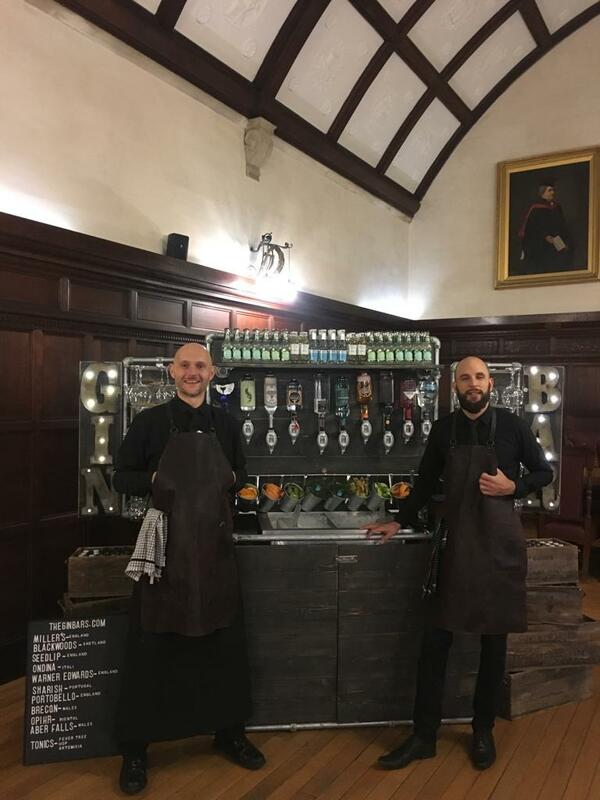 Our glorious mobile gin bar for events was recently called into action at the esteemed Westminster College at the University of Cambridge. 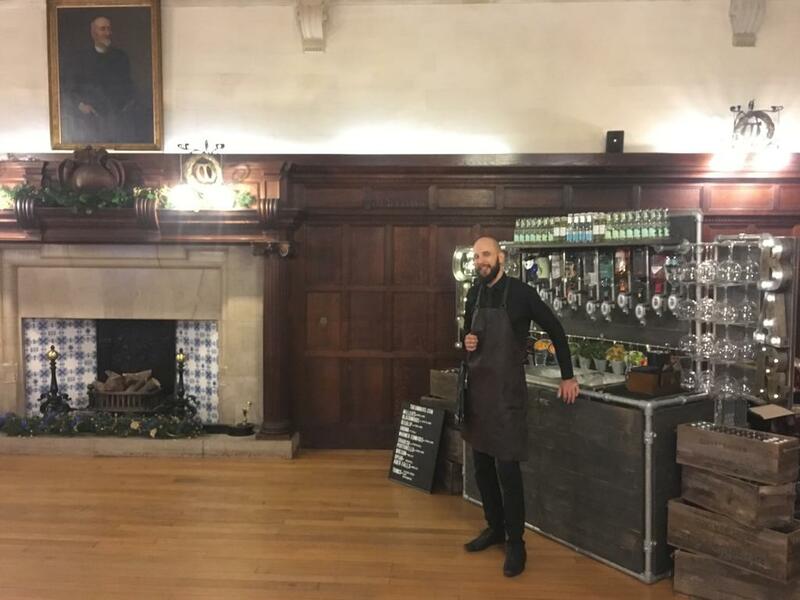 Featuring for an international law firm who rented out the event space at the University of Cambridge, our mobile gin bar was arranged to their bespoke taste, which was discussed prior to the event. The mobile gin bar has the capability to hold up to 10 different gins, each suspended above the ice well using state of the art optics to dispense the perfect amount of gin. The client opted for a selection of gins from around the world as well as one specific request for a non-alcoholic gin. We opted for Seedlip which is a company making a name for itself in the world of drinks as they distill entirely non-alcoholic spirits. As they are distilled, they still remain of a very high quality and therefore worked perfectly with the other gins, tonics and fresh garnish. Also featuring was our magic blue gin, which is always a favourite with the guests. This gin is blue when poured and once tonic water is added it turns purple! Who doesn’t love a bit of chemistry in action? Our mobile gin bar for events was chosen for two reasons, first because of its immense portability. Much of it folds away or breaks down, which means it is very easy to maneuver into and out of a huge range of buildings – particularly older buildings with narrow corridors and tight corners. Secondly, the use of craft wood materials and it’s rustic style meant that it was the perfect fit for its surroundings – the panelled wooden hall of Westminster College. Entirely portable our gin bar for events is perfect for a whole range of occasions such as private parties, exhibitions, corporate events, weddings (where the bar can be a great alternative to reception drinks – providing a focal point for your guests to gather, drink and be merry while the wedding photos are being taken) – as well as a whole host of outdoor events, such as local festivals, fetes and more. 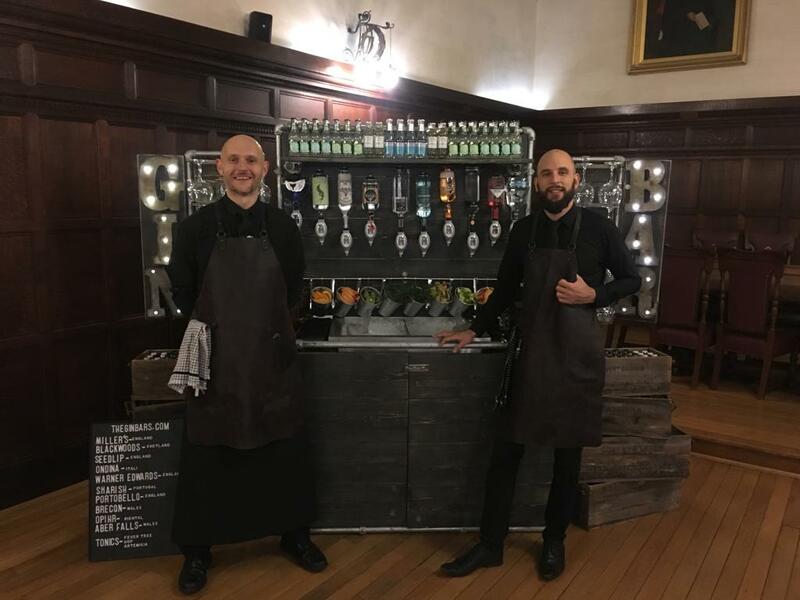 If you are interested in our mobile gin bar for events, a mobile gin bar or a different mobile bar – such as the Vodka Bar, Whisky Bar and the Rum Bar – then please do not hesitate to get in contact.